We want our campers to crave healthy food. Eye appeal is very important, as is participation in the farm to table process. 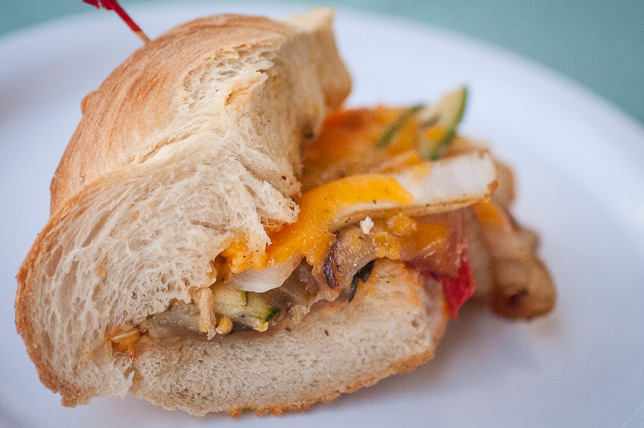 Campers love to eat our attractive grilled vegetable hoagie lunch. The sandwich is filled with wonderfully delicious and healthy things. 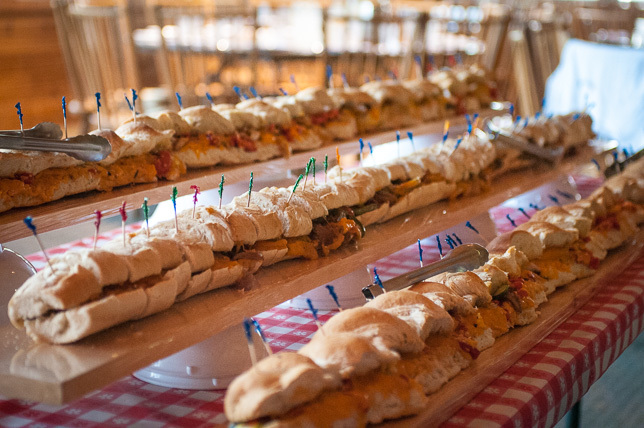 We bake six foot hoagie bread in our own bakery and grill eggplant, zucchini, yellow squash, and roasted red and yellow peppers over charcoal. We assemble the sandwich with fresh hummus and virgin olive oil drizzle and serve it warm as the center of attention in the dining room. This is a lunch that goes fast.